The main reason to buy this Kronos version would be that it’s a large keyboard that’s more portable than the 88 piano-weighted version. The difference in weight is 6.3 KG. There’s no pricing information available yet. At this moment there’s only some information available om the Japanese Korg website. Korg Kronos LS was presented on the NAMM show in January 2017. – it seems that it doesn’t feature aftertouch. For some keyboardists this could be a deal breaker. 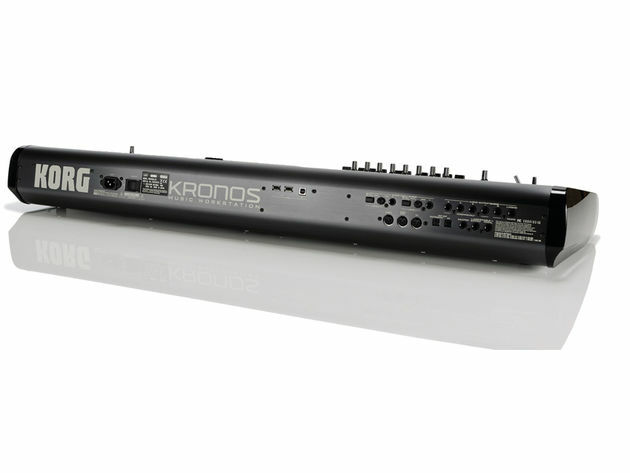 The KRONOS LS is a music workstation with nine different sound sources, boasting the highest performance in the history of Korg’s products. From a piano to an organ and a synth to a physical sound source, as one proposal to bring out the potential of its broad sound, as easy to play as the piano, now with a light key touch key model suitable for live organ and synth performance. The dark brown body color offers a calm atmosphere with sunburst side wood panels for enhancing the joy of owning the instrument, will offer a good look for you on the stage with KRONOS LS. The new design for Korg Kronos LS is a light touch key, which is easy to play with organ phrases and synth fast phrases and glissando. We also reviewed the structure of the keyboard itself, making it easier to control velocity, even with complicated feel and more difficult-to-play phrases than the conventional light / touch keyboard (61 keys). Because it is a box type keyboard which is the same as before, it realizes the light performance feeling of synth keyboard without impairing already established design balance. Also, because it is a semi-weighted keyboard, you can enjoy playing with a lot of feeling such as piano and electric piano with confidence in the reaction with a firm feeling to your fingertips. 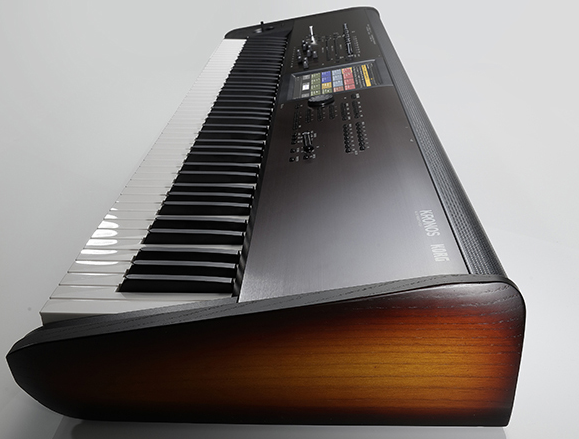 KORG achieved a weight reduction of 6.3 kg compared to the 88 key weighted model. New Features: The latest OS v3.1 including Quick Layer / Split is installed.